The guests of James Marsters, Brent Spiner and Ray Park were the headliners and drew the big crowd. The mini Monkees reunion of Peter Tork and Micky Dolenz was a hit as well and the Bionic Reunion of Lindsay Wagner , Richard Anderson and Janice Whitby in her first con appearance was really cool as well. There were a bunch of other guests (posted below) that added to the already great lineup. 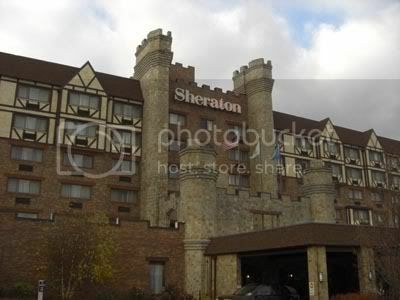 The Sheraton is a one of the nicer hotels that host conventions. As soon as you walk in, the 60's Batmobile and Batcyle were the first things you saw when you enter the castle like hotel. We were shocked when we came in Saturday and saw a huge line to purchase tickets. Last year there was none. That's a great sign and I am happy to see this con do well. On Saturday, we met James Marsters. James was very nice to everyone in line and didn't mind talking to them for a while. James saw me on the side of him taking pics of him and my girlfriend talking and thanked me for coming. A really nice guy that appreciates his fans. We then went to see Lindsay Wagner. She had Bionic Woman photos as well as her meditation CD's and books. She even has a Lindsay Wagner Christmas ornament! Unfortunately, no signed Sleep Number merchandise. A good experience. Next we saw Janice Whitby. She portrayed the the first fembot Katy in the Kill Oscar Goldman 3 part series for Bionic Woman and Six Million Dollar Man. This was her first con appearance. Janice was very genuine and loved talking about the show with you. A real class act. We saw some Q&A's on Saturday. Brent Spiner was great. Lindsay Wagner went okay. We later went to the party with Peter Tork and Micky Dolenz playing. Good stuff. On Sunday we went to see the James Marsters Q&A since we missed it on Saturday. He did great job with it. 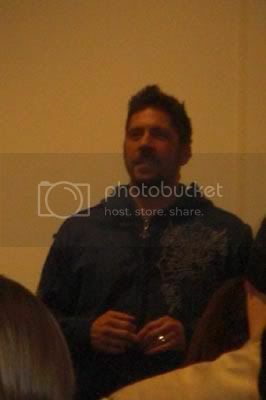 The Ray Park Q&A was great as well. Ray is a lot different now then when I first met him in 1999. He was very shy then and now is very comfortable talking to the fans. 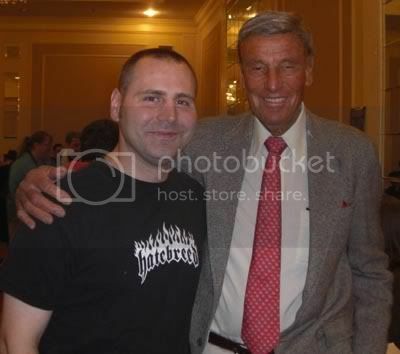 We then went to see Richard Anderson as he wasn't at his table on Saturday at one point. Nice guy and still dresses Like Oscar Goldman to this day!